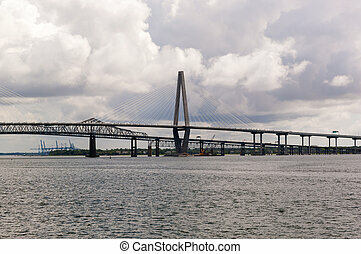 Arthur ravenel jr cooper river suspension bridge charleston sc from patriots point south carolina. 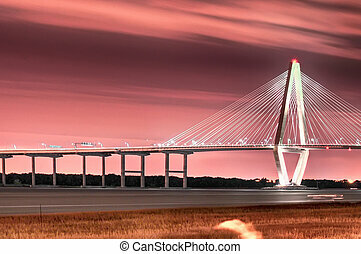 Charleston, South Carolina, USA at Arthur Ravenel Jr. Bridge. 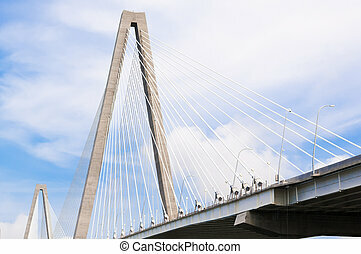 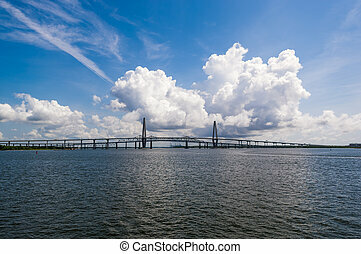 Cooper River Bridge in Charleston, South Carolina on a beautiful day. 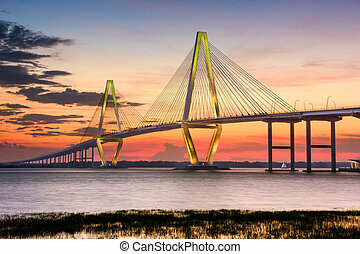 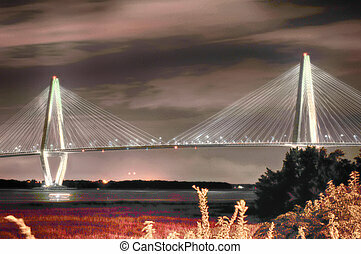 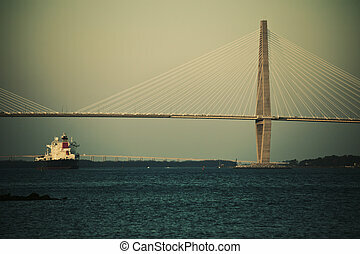 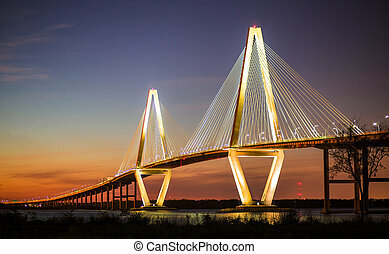 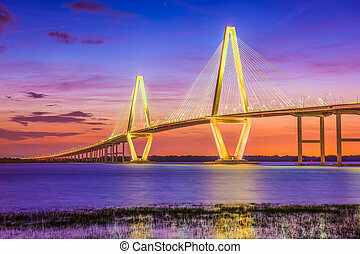 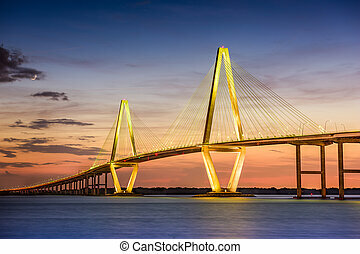 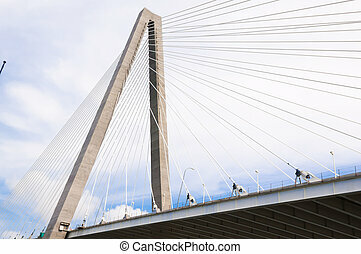 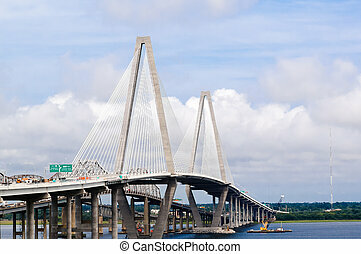 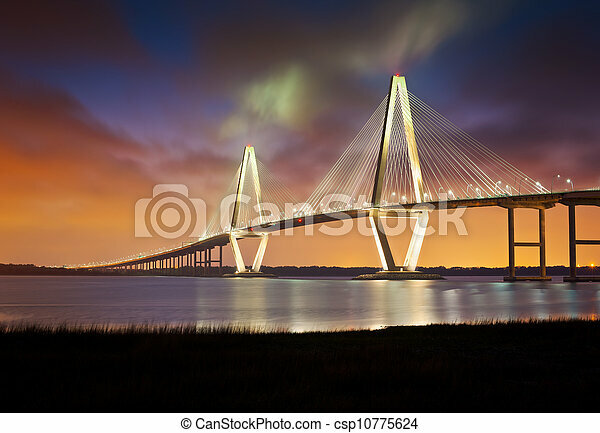 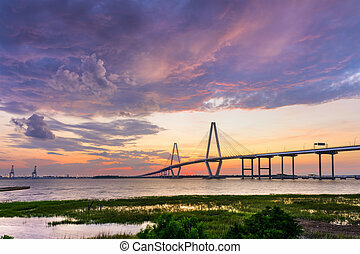 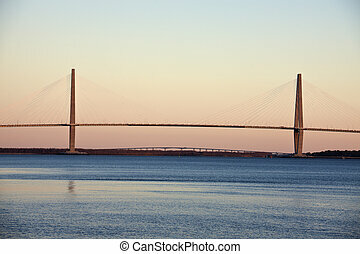 The Arthur Ravenel Jr. Bridge that connects Charleston to Mount Pleasant in South Carolina.